NEUTRAL BOMBS is a punk rock band fresh out from Lugano with their first album “Another Culture Dies”. This Friday November 6th, they are ready to show Milan what they've got! Home » Magazine » Interviews » NEUTRAL BOMBS: Swiss punk rock crew ready for shows! Do you want to be the next featured artist like Neutral Bombs on LiveTrigger magazine? Hi. Tell us something about Neutral Bombs project. 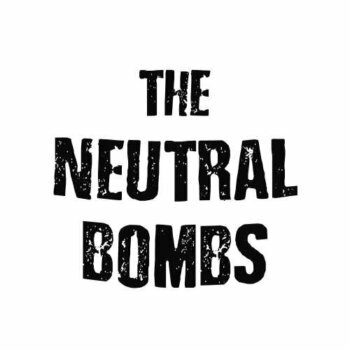 Neutral Bombs is a new punk rock band from Lugano, Switzerland, formed in early 2015. The band members are me, Rodolfo “Dexter” Pulino (vocals), ex singer of the swiss punk rock band “Knives Out” (disbanded in 2012) and founder of Nextpunk Records, a swiss punk label records and webzine, Mick LeBrain (guitar), also member of the Exsöm, an heavy death metal band from Lugano, Matte Soldati (bass), ex-singer of Rusty Spanner, a young punk band in Lugano now disbanded, and Dante Guerra (drums), who’s the youngest member (he’s 18) and this is his first band experience! I know you are recording your first album. Tell us something about it. Our first ep with seven songs is called “Another Culture Dies” and was released the 1st of November by Nextpunk Records (it was easy for us to find a label 🙂 ). The album was recorded at New Mood Recording Studio in Cantù by Frederic Mazzei. Not an easy question. In fact everything that we hear every day affects us in some way. Probably if tomorrow I will play blues rock I would define it punk rock anyway! Because for me punk rock is all, not only my favorite music, punk rock is my attitude and my style, or better…punk rock is my life! But this is my personal answer, I’m sure that everyone from the band will give you a different answer. How is being a band from Lugano? Tell us something about Switzerland musical movement? Sometimes (for the music!!) isn’t easy because we speak Italian but we are not in Italy, we speak german but we are not in Germany, we speak french but we are not in France. So sometimes for a lot of good bands isn’t easy even just to cross the border e spread their music out of Switzerland. But the real problem is that most of the swiss bands do not even try! They settle for remain in Switzerland. Fortunately, in recent years some bands are changing their mentality! This is good! Hard to choose, but even if they are not into our genre I think that Dreamshade gigs are actually the best live act in our area. They play melodic death metal and they are really good guys. Absolutely Jello Biafra & the Guantanamo school of medicine, they played a great show in Italy few weeks ago! But unforgettable, during last summer, there was the Punk Rock Holiday in Slovenia. Very well organized in a beautiful and unique environment. I recommend everyone love punk rock and mountains to go there. Are you touring right now? Do you plan to have a tour in the near future? Tell us something about it.